VA FD BEING SUED OVER CRASH! 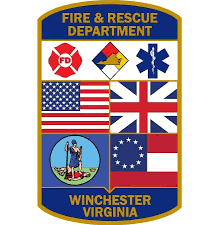 An elderly driver is seeking $500,000 from the city and a Winchester firefighter who drove the fire truck that struck his car. The crash occurred on Nov. 16, 2016, according to a lawsuit filed Tuesday in Winchester Circuit Court. Roy Locke Jr. was eastbound on Berryville Avenue driving through the North Pleasant Valley Road intersection when he was struck by a fire truck driven by firefighter and emergency medical technician William Steele. The suit alleges Steele “failed to properly and safely operate his vehicle while crossing the intersection” and that he ran a red light before striking Locke, who the suit said was seriously injured. The truck was responding to a call and had its lights and siren on, according to Karl Leidke, president of the Shawnee Volunteer Fire and Rescue Company. The company was named in the lawsuit because it owns the fire truck. All four stations in the city and all firefighting equipment are owned by the volunteers. The exception is a $1 million ladder truck Winchester has purchased. Steele is a city employee, not a volunteer firefighter. He was hired in 2012 and earns $46,076 annually, according to city spokeswoman Amy Simmons. Locke’s attorney Julie H. Heiden didn’t return a call Tuesday. Attorney Julia B. Judkins, who represents the city, said if the case goes to trial, the city will argue that Locke was negligent, not Steele. Regardless, she said taxpayers are unlikely to be on the hook if Locke won at trial or if there was a settlement. She said Winchester and Steele have “sovereign immunity.” That means state law limits them from being sued for actions while carrying out their governmental duties unless negligence can be proved. Judkins said Erie Insurance, Locke’s insurance company, is likely to end up paying. The company is named as a defendant in the suit. Under sovereign immunity, plaintiffs in crashes can sue their own insurance companies.